science – Teach. Empower. Transform. Scholars in the Workplace… a look back. FLOC’s Scholars in the Workplace program aims to provide our students with critical career exposure to help them identify possible areas of interest, meet successful professionals in a variety of career fields and give them the chance to experience different workplace environments. 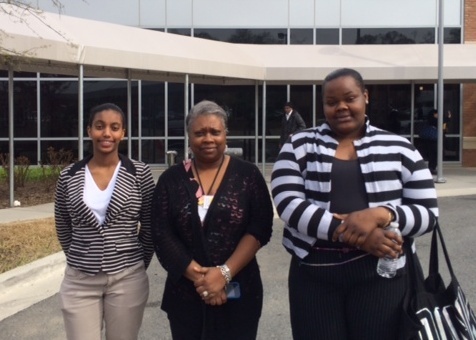 This year, high school Scholars visited several workplaces across the city. 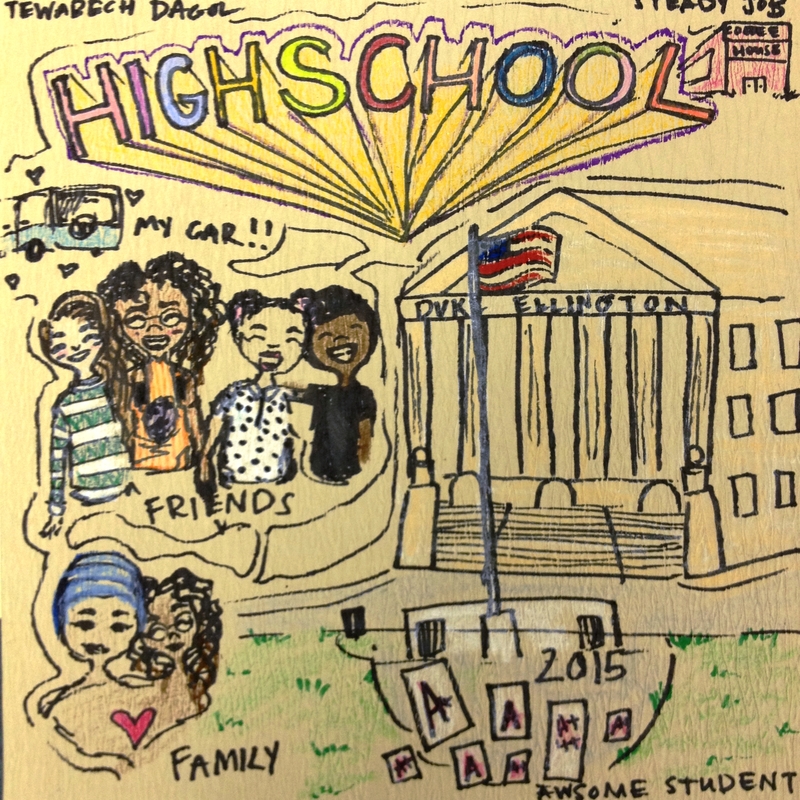 These visits first kicked off over spring break, with four enthusiastic 12th grade students being matched with three diverse workplaces in the city. 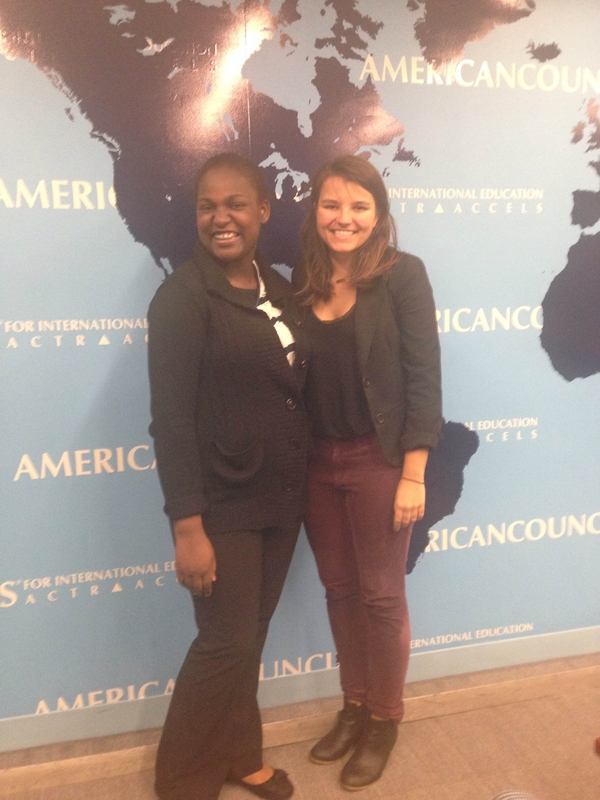 First, a young professional who works at the American Councils for International Education hosted Taylor at her office for an entire day. Taylor attended a department meeting, helped to prepare materials for an upcoming conference, and learned about possible career paths in the field of international education. 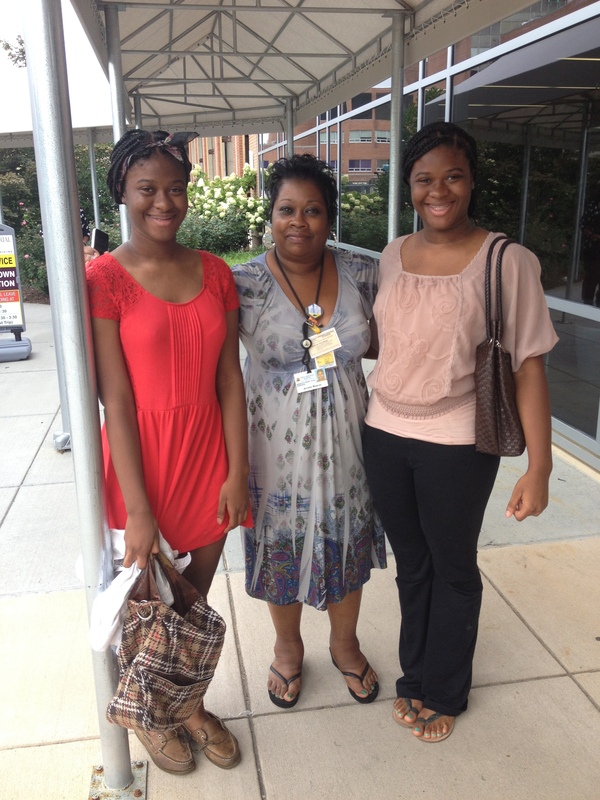 Later that week, a medical director at Sibley Memorial Hospital welcomed Kyla and Amen, two aspiring nurses, to shadow her and the nursing team in the Radiation Oncology Department. Throughout the day, Kyla and Amen witnessed patients receiving treatment and learned about the nursing profession from experienced staff. The interest and professionalism both students showed were praised and led them to be welcomed back to volunteer and enhance their resumes. Third, a program coordinator and her colleagues at the World Resources Institute (WRI) hosted CJ for an afternoon to learn about the work of a global environmental research organization. CJ had the opportunity to meet with human resources staff to discuss his interests and improve his resume; he enjoyed the people and the work so much that he plans to apply for a summer internship. The Scholars in the Workplace visits continued this summer when we matched another five students, all going into the 11th grade this fall, with both new and familiar workplaces. Nick, who loves science and is interested in environmental issues, kicked off our summer placements at the World Resources Institute, where another project coordinator and her colleagues were eager to host a student at their organization. Like CJ, Nick had numerous meetings with enthusiastic staff to hear about their job responsibilities. Nick particularly enjoyed learning about the variety of careers at WRI and what it is like to work in an office environment. Our second student to take advantage of a career exposure opportunity this summer was Ghelatia, who wants to one day be a pediatrician and a philosopher. 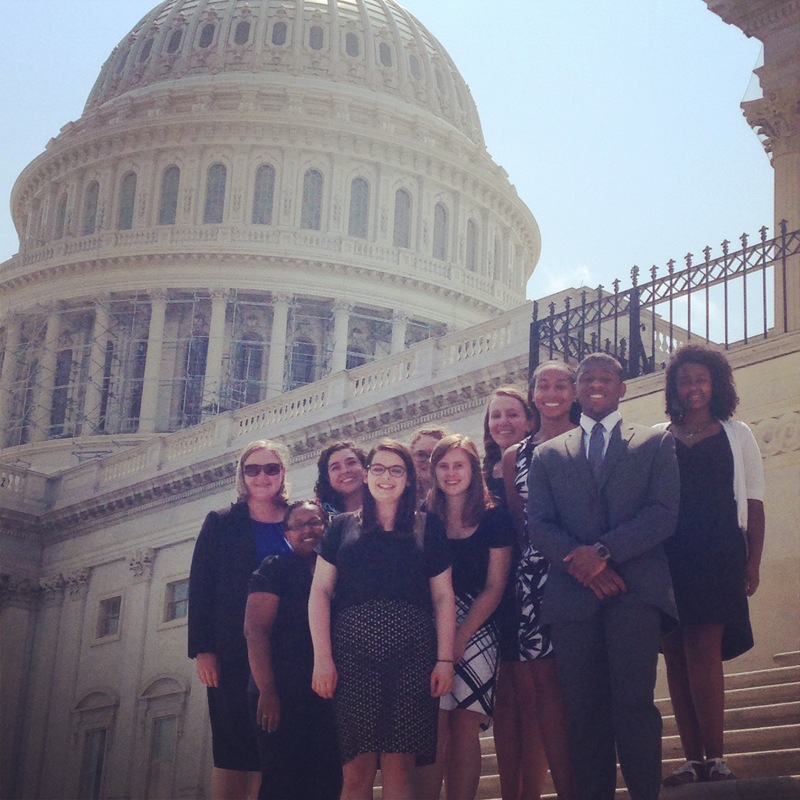 A director at Children’s Defense Fund (CDF), a child advocacy organization, coordinated an exciting day for Ghelatia: she spent the morning on Capitol Hill where she attended a hearing and met with representatives, and she spent the afternoon speaking with CDF staff about issues facing schools. As a result of the visit, Ghelatia found that her passion and principles were aligned with careers in this field. 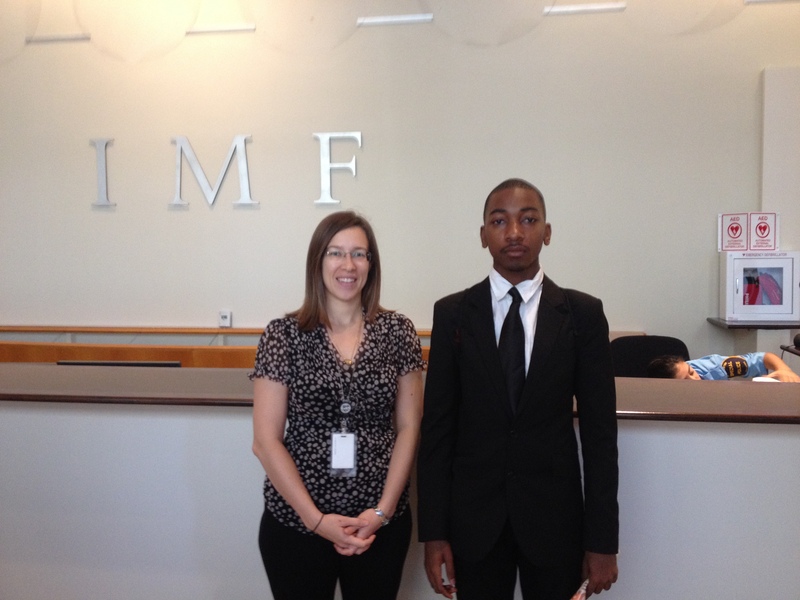 While at the International Monetary Fund (IMF), Bigami was able to tour the Executive Directors Board Room and receive college and career advice from research analysts and program directors. Bigami’s time at the IMF allowed him to interview numerous professionals in the international finance profession and further increased his interest in international affairs. Bianca and Berniece rounded up our summer with a visit to Sibley Memorial Hospital where they learned to read cat scans, MRI’s, and had an intro course to human anatomy. They toured the Radiation Oncology Department and held informational interviews with numerous doctors and medical professionals. 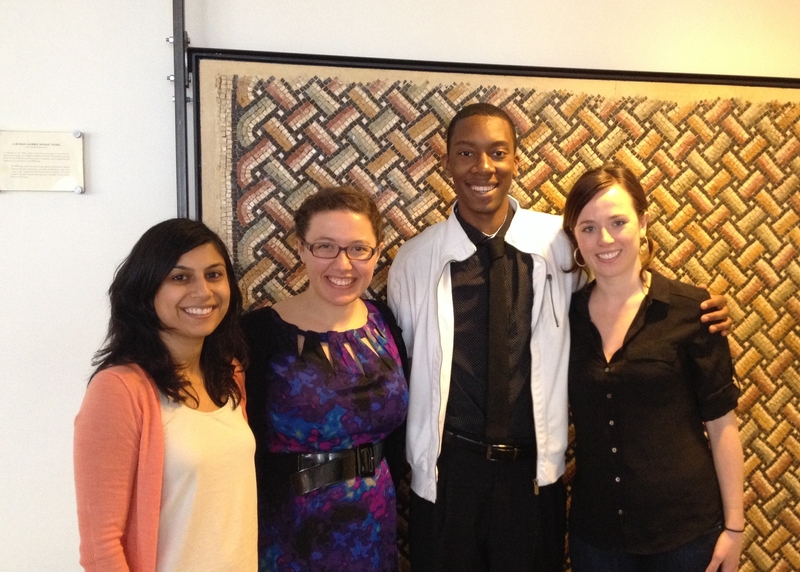 They walked away excited at the opportunity to volunteer in fall and more enthusiastic about becoming doctors. 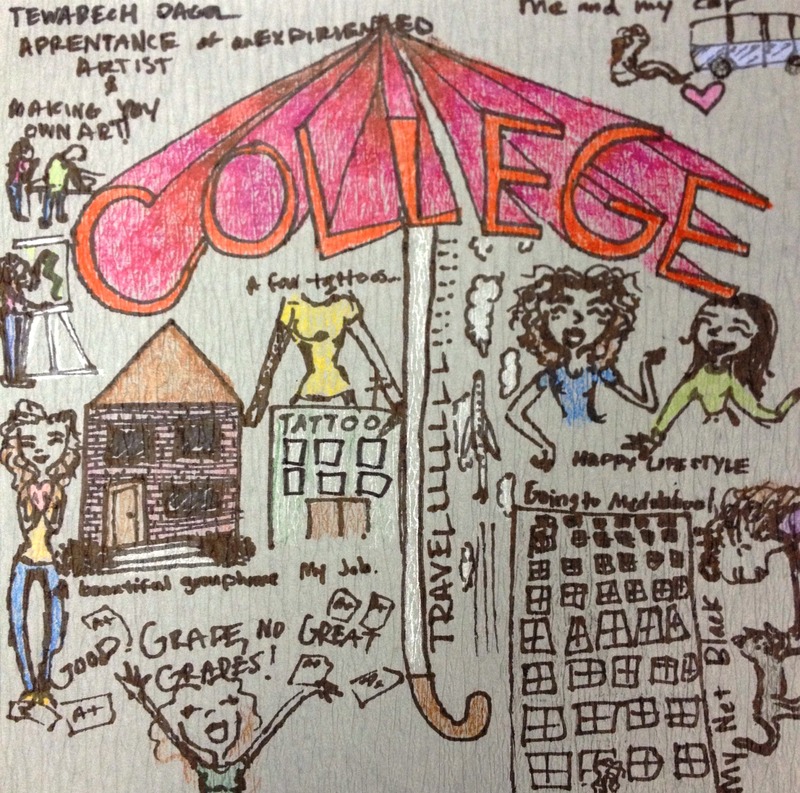 Before these Scholars go off to pursue higher education, their workplace shadow experiences showed them just what, why, and how a postsecondary degree will help them achieve career success. Juel hugs his brother Julian. Juel, 7, attends H.D. Cooke Elementary School. He is in first grade. At FLOC, Juel goes to the Tuesday Night Reading program and has been at FLOC since October 2013. In his free time, Juel likes to play soccer with his friends and build Legos. Before tutoring, in the student room, he likes to play Jenga with his brother Julian. Juel’s favorite subjects in school are gym and math. Juel is a very energetic child, and never fails to provide FLOC staff, tutors, and his fellow students with a laugh. When I asked him what he thinks his brother should be when he grows up he said “a rock star!” When Juel grows up, he wants to be Iron Man from Marvel’s Avengers. This year in school, Juel hopes to do better in reading in school and reach grade level. Juel enjoys coming in every week with his brother. 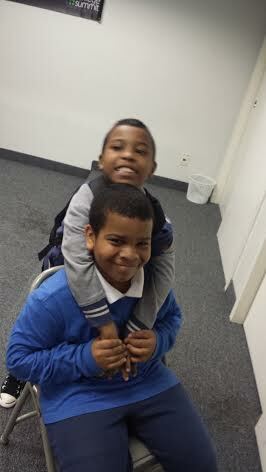 You can always see them playing together in the FLOC student room before tutoring starts. Julian, 8, is in the second grade and also attends H.D. Cooke Elementary School. Like Juel, he has been at FLOC for one year and attends the Tuesday Night Reading program. 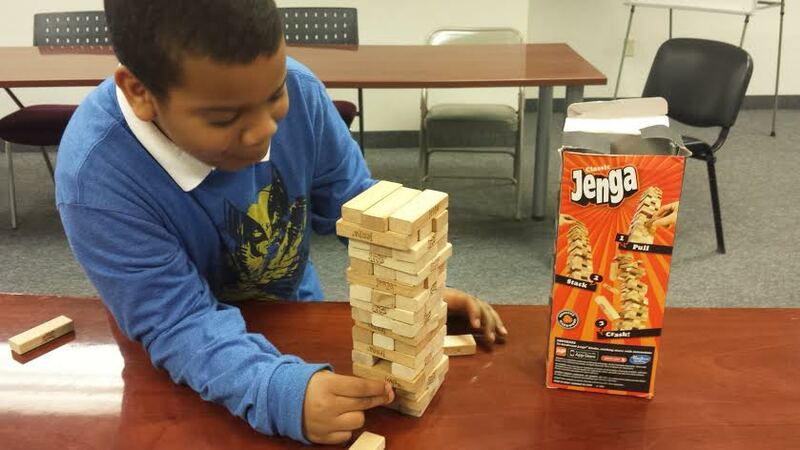 Julian plays Jenga before the start of the tutoring program. Julian’s favorite class in school is science because he likes to learn “how things work”. In his free time, Julian likes to go outside, play with his friends, play Uno, and relax. Julian and his brother Juel are big fans of the Marvel’s Avengers. Julian told me he doesn’t know what he wants to be when he grows up just yet. 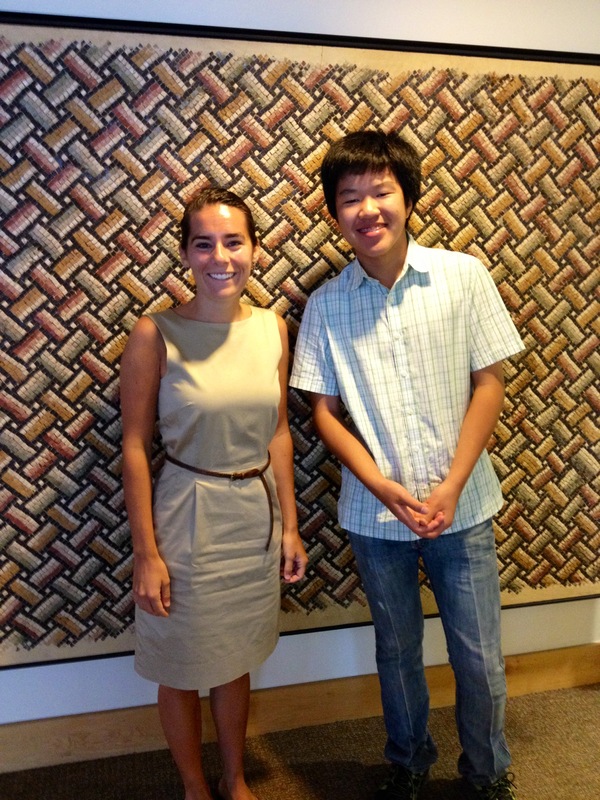 Julian’s favorite part of coming to FLOC is “learning new things” and “having fun” with his tutor Rebecca. 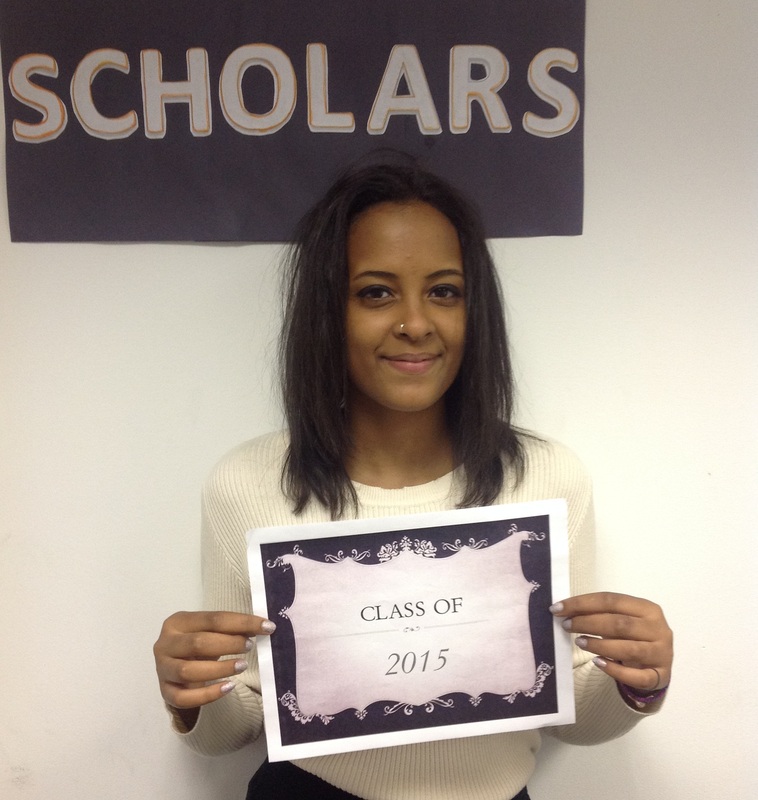 Julian says that FLOC has helped him advance a level in reading at his school. Jacob creates a human body energy simulation. Jacob is brand new to the Leaders In Action (LIA) program this year. As a 6th grader at Charles Town Middle School, he became interested in the program when he learned that LIA focuses on “health, being active and outdoor activities.” Jacob quickly made friends in the program as the weeks progressed while participating in our many games and lessons. So far, his favorite part of our weekly meetings has been team building games and star wars because all the students play them together. 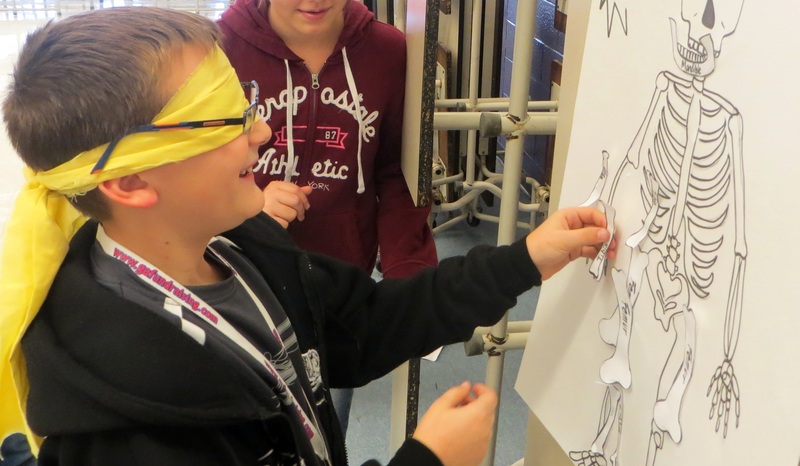 Jacob plays “Pin the Bone on the Body” while learning about human anatomy. 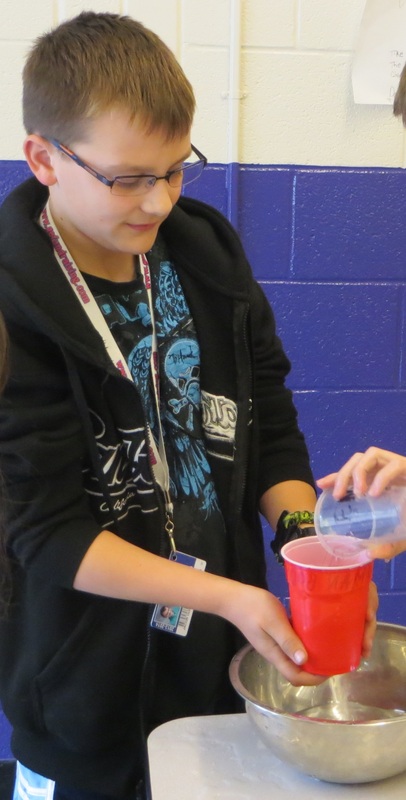 Jacob’s first trip to the Outdoor Education Center (OEC) was for the Science Olympiad with Jefferson County Schools. In early September, he was able to explore the OEC all day while participating in stations all based on science, nature, and wildlife. The next two times he visited us was for our weekend gardening program in October and November. In October he enjoyed making the slug slime, learning about indoor gardening, and planting seeds. During his November visit, his favorite part was being able to view the growth of the seeds he had planted in October and transplanting them into larger pots. Jacob also enjoyed planting daffodil bulbs and learning about bats and spiders. 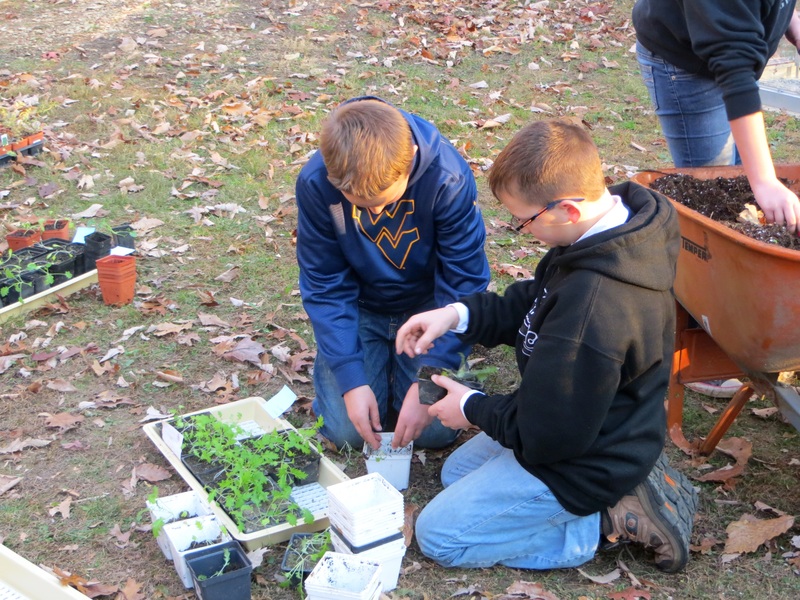 Jacob transplants lettuce with another student during their November visit to the OEC. Since Jacob has been in the program he has heard many other students discuss memories from last year’s summer camp. Jacob is very excited to attend the overnight camp this year at the OEC because “of all the cool trips, outdoor adventures, and fun counselors.” While participating in LIA Jacob has noticed he has been eating healthier, learning about nature and gardening, and meeting new friends which have truly helped when entering middle school. He enjoys having 6th, 7th, and 8th grade students in LIA as the program provides him with positive role models and good friends. The entire OEC staff welcomes Jacob into our Leaders In Action program!